Enhance your time reading and exploring God's Word. 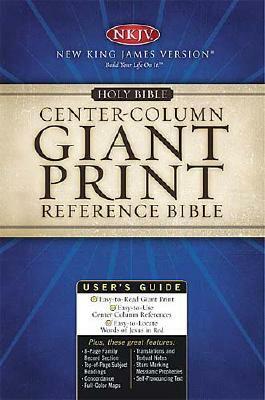 Experience a whole new level of visual comfort and biblical study with Thomas Nelson's "Giant Print Center-Column Reference ""Bible." This Bible is filled with references and study aids to strengthen your Bible reading. Plus, it features giant print type, making reading more enjoyable than ever. Ideal for individual study, teaching, and ministry work, this trusted edition of the Holy Bible will enhance your time exploring the beauty and meaning of God's Word.